Australia's government is seeking broad new security powers to combat what it says is a rising threat from militant Islamists, the prime minister said on Monday, on the heels of sweeping counter-terrorism raids last week. Under the tough legislation, which Prime Minister Tony Abbott said would be introduced into parliament this week, it would be a crime for an Australian citizen to travel to any area overseas once the government has declared it off limits. Although the United States and several European countries are weighing legal measures to stop their citizens fighting in conflicts in the Middle East, Australia's proposed law appears to go farther than any other in actually barring entire regions. Australia is concerned over the number of its citizens believed to be fighting overseas with militant groups, including a suicide bomber who killed three people in Baghdad in July and two men shown in images on social media holding the severed heads of Syrian soldiers. "My unambiguous message to all Australians who fight with terrorist groups is that you will be arrested, prosecuted and jailed for a very long time, and that our laws are being changed to make it easier to keep potential terrorists off our streets," Abbott told parliament. "The only safe place for those who have been brutalized and militarized by fighting with terrorists is inside a maximum security prison." Abbott offered as an example of a "designated area" the city of Raqqa in northern Syria, where a photograph of a young boy holding the decapitated head of a slain Syrian soldier was reported to have been taken earlier this year. The boy was believed to be the son of an Australian jihadist. Attorney General George Brandis said the legislation would carve out exemptions for some Australian citizens, provided they can prove that they have a valid reason for being there, such as journalists or visiting family members. 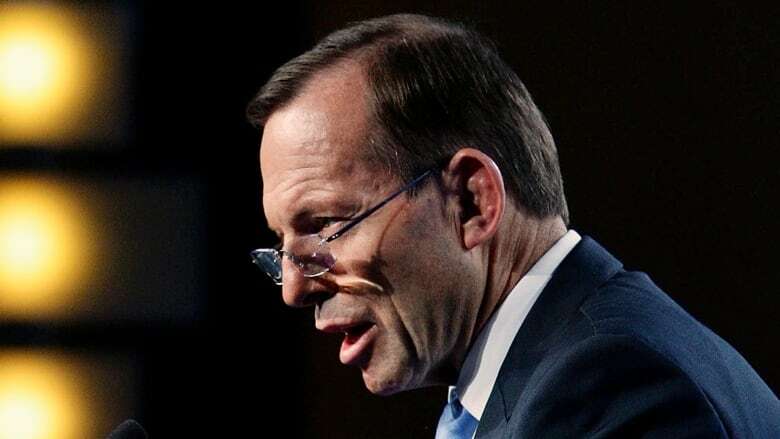 Legislation requiring telecommunications providers to keep metadata and to make it available to police and security agencies will soon be introduced as well, Abbott said, granting the government broader access to its citizens' communications. Abbott said that at least 60 Australians were in the Middle East fighting Islamic State or other militant groups, and a further 100 Australian citizens supported the groups. At least 20 are believed by authorities to have returned to Australia and pose a security risk, and earlier this month the national security agency for the first time raised its four-tier threat level to "high." 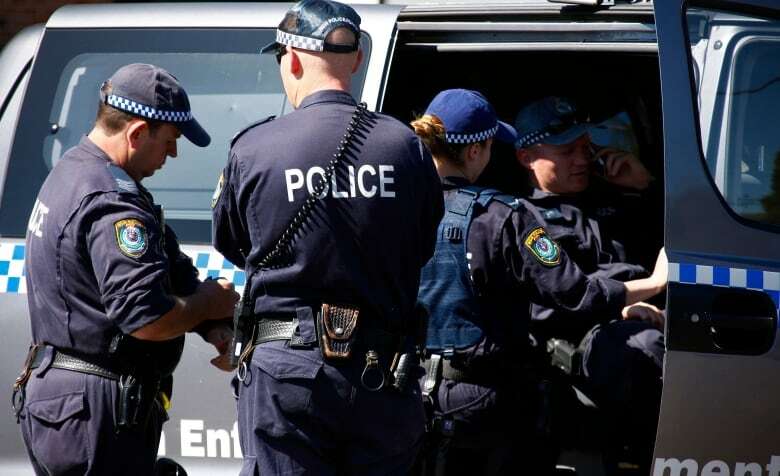 More than 800 police were involved in a security operation in Sydney and Brisbane last Thursday, which authorities said had thwarted a plot by militants linked to the Islamic State group to behead a random member of the public. On Friday Abbott ordered security boosted at Parliament House in Canberra, after he said that intelligence "chatter" had revealed a plot to attack the building and politicians on orders from overseas militants. U.S. President Barack Obama is expected to use a speech to the UN Security Council on Wednesday to call for more countries to join his coalition of more than 40 nations in fighting the Islamic State.